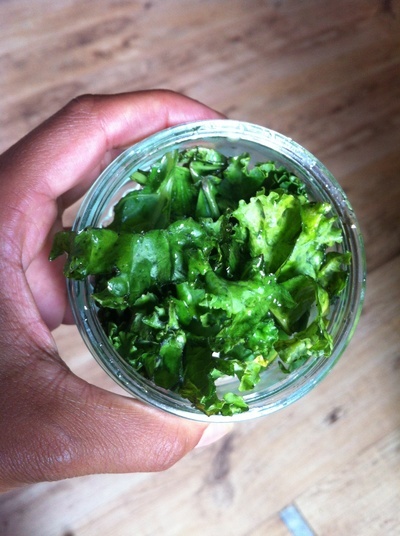 Kale chips are a healthy, fat sugar and gluten free snack kids can enjoy any time of day. 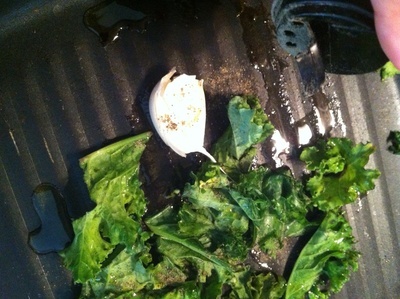 Add the kale to a hot pan. 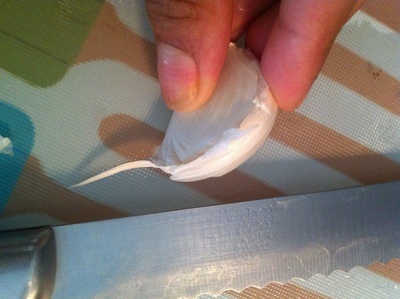 Crush the garlic using the back of a knife. 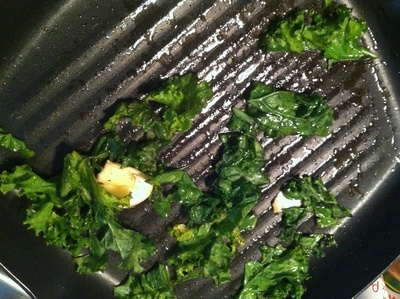 Add the oil, pepper and garlic to the pan and cook over a high heat for 2 minutes, moving the kale around the pan quickly. 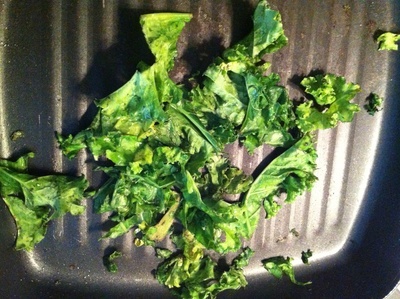 The kale should crisp up quickly. 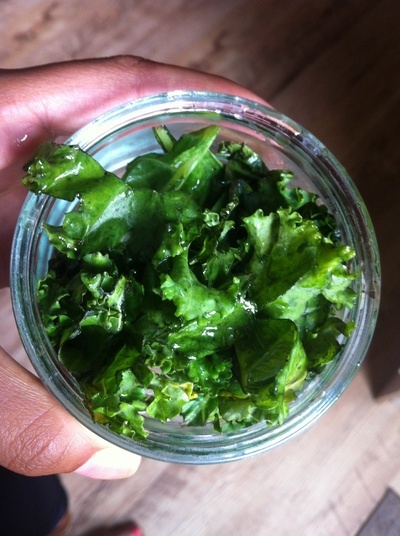 Transfer to a ramekin/small dish.